Baseball is Universal. Thank You, Japan! I just wanted to give a shout out to one of the site’s followers, Fujitsuka Takumi, from Japan. The mailman just delivered a Christmas package from him!! Very cool! Baseball and the love for “America’s Pastime” is truly universal. Thank you for the amazing gifts!! Fujitsuka wants to start his own website much like this one to help support indy baseball in Japan. I can’t wait to see what he does with it!! Thank you for reaching out to me! Hi, this is Fujitsuka Takumi from Nara, Japan. 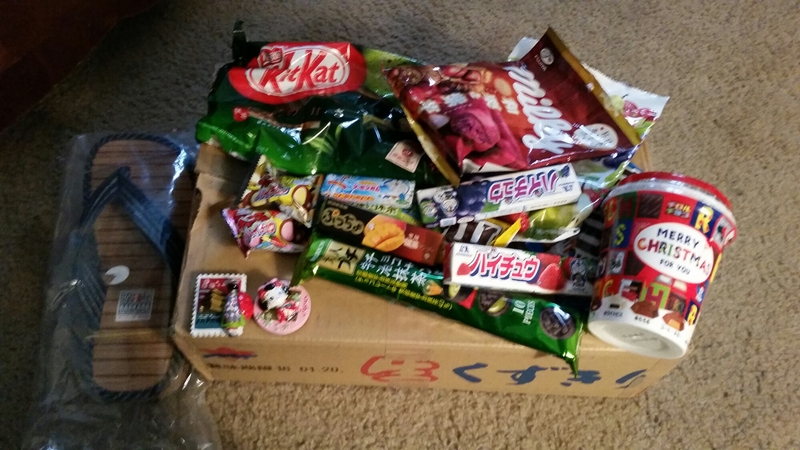 I can send you Green Tea Kit Kat bars if you want to. Anyway, nice to contact you!! Thank you so much. Every September I go with a group of people to Japan where we go to baseball games. And I found them in World Market yesterday. But they are good. Cool you are a Japan Ball tour’s HOF. Thanks.. I went to college in Hawaii whereI would be able to watch the Giants On TV.So I wanted to go to Tokyo to see them play. Now I go every year. When you were in college, who were star players of Tokyo Yomiuri Giants? takumi-san ; Oh was the big star for Americans — I understand that the 3d baseman was a bigger star in Japan but Oh was who I really liked — and I was lucky enough to go onto the field when he was the manager of the Hawks in 2008 and did get to meet him. I have also seen a no-hitter in Japan and Tanaka win his 20th and Baletin hit Homerun number 54. My trips to Japan have been so much fun. I will be coming back for my 12th trip this September. Oh! it’s a kind of long time ago. Which stadium do you like in 12teams? Takumi-san, I think my favorite stadium is the new one in Hiroshima. I liked the old one also – partly because it was so close to the Peace Park. And of course – I like the Big Egg and the one the Hawks play in. But I would go to any of them – indeed I am going to 10 stadiums in September plus Sumo. I would like to see some independent games — I would like to see Eri Yoshima (?) who I met while she was pitching for the Maui team in the North American League. She pitches (or did last year) for the Million Stars. He is (was) not only great baseball player/field manager. He is a great human who really respected by people. In Japan, he is a social role model for all, not only for baseball fans. this is my email add. please email me. Want to talk with you more and more. Takumi-san. I have responded to you at your e-mail address. First, I enjoy the blog, having a couple of Indy leagues (Atlantic League and Can-Am League) in my backyard. That’s awesome! Baseball unites the world.